Two options for submitting payment. $150 required to confirm your registration. An entire week designed to let boys be boys. 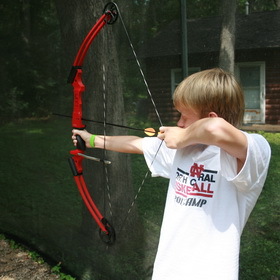 They'll use their imaginations for cabin skits, play games designed specifically for young boys, practice good sportsmanship around the carpetball tables, and choose from a broad list of activities to discover like archery, fire building, canoeing, wood carving, disc golf, and many more. 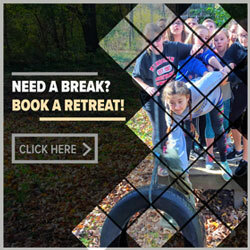 There are interactive chapel sessions and cabin group discussions based on a teaching theme from the Bible. All teaching is designed to be applicable for elementary aged boys from all walks of life. Cabin Counselors will help them become honorable men. This week is highlighted by a cabin vs cabin Cart Race and Legos, so many Legos! 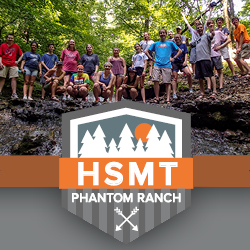 All Phantom Ranch staff are screened then trained in our child protection policies as well as helping campers conquer homesickness. CABIN -- basic bedding for a twin size mattress (pillow, sheets/sleeping bag/blanket) and toiletries (soap, shampoo, deodorant, toothbrush, toothpaste, bath towel, hand towel). WATERFRONT -- beach towel (different from bath towel), quick drying sandals (easy to identify among similar sandals), swim trunks that are not see-through when wet and fit snuggly in the waist (no one wants to lose their shorts while riding the banana boat!). AROUND CAMP -- clothes to get dirty in, running footwear, rain jacket, pants and close-toed footwear for horse ride and paintball, flashlight, BIBLE. OPTIONAL -- camera, pen/pencil, personal paintball goggles/pads, fishing gear - call/email for clarification on what to bring items. Please do NOT BRING -- any type of music player, mobile phone, video game player, laptop, knives, personal paintball and airsoft guns, fireworks, sparklers, or any similar items. Please turn in all cash at check in to be entered into the camper's store account. Phantom Ranch will not be held responsible for lose, theft, or damage to items brought to camp. 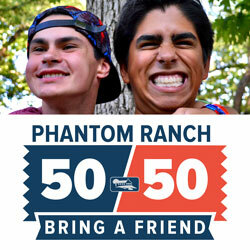 Phantom Ranch staff will collect and secure the above items and return them at the end of the week. For clarification on our do not bring list and policy please call/email.